When fifteen-year-old Billy Wilkinson goes missing in the middle of the night, his mother, Claire, blames herself. She's not the only one. There isn't a single member of Billy's family that doesn't feel guilty. 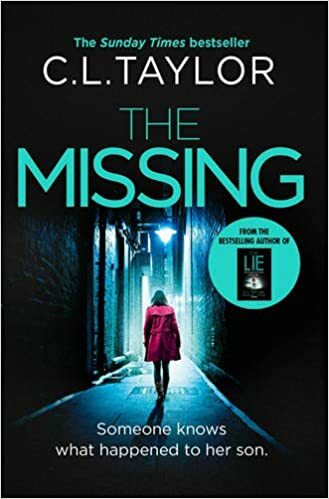 But the Wilkinson’s are so used to keeping secrets from one another that it isn't until six months later, after an appeal for information goes horribly wrong, that the truth begins to surface. I think after this one I am going to read something a little less stressful. Or not. I seem to have hit a streak of amazing books at the moment and this certainly continued with The Missing. At the risk of a copy and paste from previous reviews, I have said before that for me to really enjoy a book, and give it 5 stars I need to be inside the book. I need to feel the same things as the character and again with The Missing I did. For the majority of the book I was tense, so tense it gave me a headache. I felt so sorry for Claire. Poor women didn’t know what the hell was going on, waking up here, there and everywhere. Not knowing if she was involved in her sons disappearance. Everyone she loved became a suspect in her mind, its no wonder her brain reacted the way it did. It’s an evenly paced book with short chapter s and a cracking storyline with an ending that I completely got wrong. Without giving too much away, I thought Billy was a little so and so and I’m glad it ended how it did. Oh, and it’s the first time I have cried whilst reading. The last chapter was heartbreaking and uplifting at the same time.